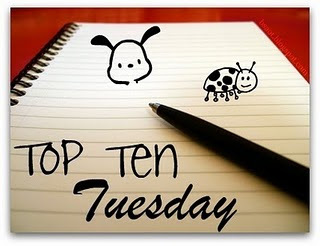 Today's Top Ten Tuesday is ten books you've read and loved but never reviewed. So ... here are my ten! Thanks for reading my Top Ten Tuesday! Love the Percy Jackson books! I'm not sure if I've written reviews for them or not. Probably little ones on Goodreads, but definitely not blog reviews.